I estimate it was putting down 265hp and 300ftlbs to the tires!!! Compare that to the weak 175 horses and 200ftlbs to the ground stock. That is a big increase, about 50%, tire smoking, power increase!!! I got 7lbs of boost with a 2.8" pulley at a 5,400'. That should be closer to 8lbs at sea level. The cooling of the water and methanol increased performance considerably and was needed at boost pressure over 6lbs. 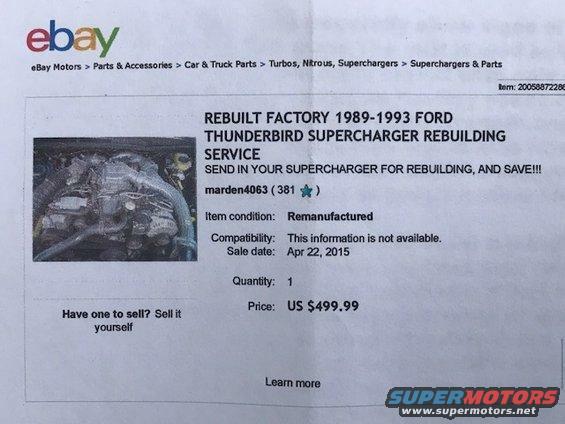 I am selling as I decided to build a V8 Explorer, need the additional seats, and will likely put a turbo on it. I have over $2,500 in this kit and am asking less than half of that, a fair price. I will accept no lower offer, it will sale eventually to someone who appreciates what it cost. 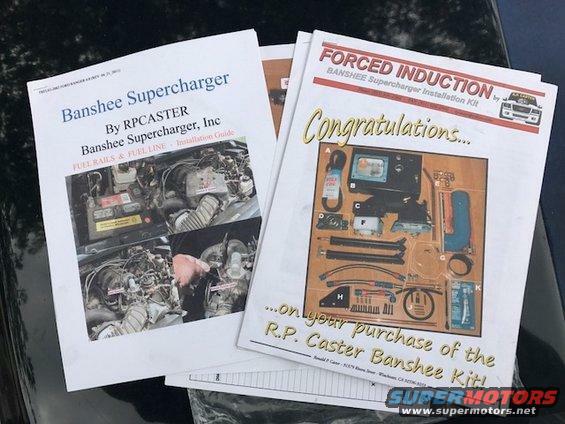 This Banshee Supercharger Kit is designed specifically for the 2001 & 2002 Ford 4.0 SOHC Ranger (but) is compatible to all Fords 4.0 SOHC vehicles and (may) require “minor” changes. The (most prevelant) for the “Ford Ranger is that Ford used 4-different sized fuel line connectors. The manifold is aluminum, The are 2-1/8" threaded pipe plugs in the manifold for sensor, water or alcohol injection, etc. and 1-3/8" threaded pipe plug to relocate the IAT sensor. 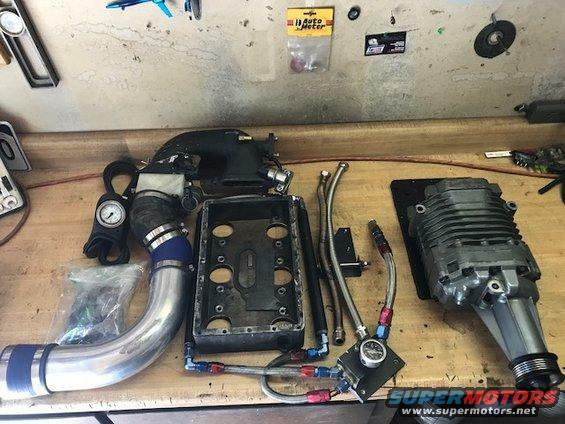 Snow Performance Stage 1 Water and Methanol injection kit! Bypass Valve - (equalizes pressure on both sides of supercharger when boost is not needed. Nuts, bolts, and washers to mount all item's listed above. Misc - (gasket material, silicone gasket sealant, and lock-tite. I'm guessing you sold this already, but if not I'm interested.